Searching for the term “leadership” in six key journals published by the American Sociological Association* from 1994-2014 brings up 31 peer-reviewed articles. This stands in stark contrast to the 2,848 papers published by these journals in total. By this measure only about 1% of sociological research is dedicated to leadership. We are frustrated by this. Why is this topic off-limits in sociology? 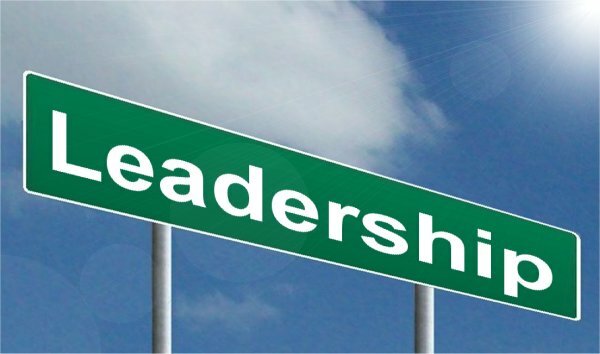 Might we consider Leadership as a substantive area in sociology? What would this look like? Judging from discussions with scholars in various ASA sections, it seems there exist two streams of thought that cause a sociologist to pause when considering the study of leadership from a sociological perspective. First, sociologists, by definition, favor the study of social forces, organizational dynamics, and the relative lack of agency that individuals have in these contexts. This means that leaders matter less than the structures surrounding them. It follows, then, that sociologists wonder whether leaders are even worthy of sociological investigation and study. Second, sociologists tend to shun the study of concepts that are readily privatized or monetized, expecting that leadership scholars will move into private consulting agencies or otherwise find ways to profit from this topic which has mass public appeal. Indeed, some sociologists have switched to private business or into different fields to find support for their ideas with regards to management, organizational behavior, and leadership. In response to the first stream of thought, we think most sociologists would concur that opportunities for leadership are powerfully structured by variables like race, class, gender, and more. We believe this, in and of itself, is deserving of sociological inquiry. We also think that sociologists could conceptualize and approach leadership in a variety of ways: (1) some might see the ‘leadership role’ as socially constructed and crafted through interaction and identity work; (2) yet others might see the topic of leadership through a networks lens, a group dynamics lens, a power lens, and so on; (3) yet others might conceptualize the ‘leader’ to be structurally and culturally constrained, fighting to retain any agency if at all, and choose to study these forces directly. These ideas might be ‘strange’ or ‘different’ to a student who has mostly been exposed to psychology and business curriculums. Yet these are the critical ideas and contributing points that sociology brings to the table when discussing leadership. In response to the second stream of thought, we propose that sociology could do better by offering a home to these scholars. Perhaps, there is a term, other than ‘leadership’ that would make inquiry into this area more palatable? We see three primary benefits to taking the study of leadership from a sociological perspective seriously (although we are certain there are more). First, students of sociology would better understand the impact that charismatic leaders have on individuals, organizations, and movements. Gaining a more holistic approach of leadership will assist them in their understanding of many areas of sociology wherein ideas about leadership, authority, and power are embedded. Students would also benefit as they enter the workforce. Scott works for a private company that studies leadership and helps organizations select and develop strong leaders. His sociological background helps him understand the individual, the organization, and the driving forces that are in play. Natasha used to work in college administration. Her sociological background led to many positive experiences and helped her to think through situations in ways unique to that of her peers. Together, therefore, we believe that a sociological perspective on leadership would give students a substantial advantage over others entering the market as well as in their experience of organizational life. Dare we say it will make them better organizational leaders? Second, colleges and universities would benefit. A line of inquiry into ‘A Sociology of Leadership’ would allow sociologists to take their rightful place at the table with professors of organizational psychology and professors of management. It would be nice to collaborate with colleagues in other departments, colleges, and schools, and sociologists deserve a microphone in this discussion as these colleagues with whom they may have little current interaction often cite them. Dare we believe that sociologists just might become helpful to the University administrative leaders, and sought for their advice, as they work to lead their college or university? Third, sociology departments could benefit from an increase in enrollment, as we posit that courses in the “Sociology of Leadership” would draw students from many disciplines. Our hope is that more students would be curious about this topic, come to see “The Promise” of sociology, and select sociology as their major. We also think a larger sociological discipline would see more sociologists enter the business world. Would that not make it a better place? We recognize this blog post is devoid of academic citations and scholarly literature. That can come at a later date. Here we only seek and hope for feedback from the OOW community, in laymen’s terms, as to whether members think this is a viable area of sociological inquiry. Dr. Natasha Ganem is a Lecturer in the Department of Sociology at the University of Georgia. Dr. Scott C. Whiteford is Principal Researcher and Director of Leadership Consulting at Talent Plus. *American Sociological Review, Social Psychology Quarterly, Sociology of Education, Journal of Health and Social Behavior, Sociological Theory, Sociological Methodology. I believe that A Sociology of Leadership class would be helpful to a lot of students. I have run across many who would benefit from such a class, including myself. Am very greatfull to have this opertunity to write to your respectively office,am in position of seeking the passible way how to join the sociology study as it is my vision in life,grant me fever to the school.